Essays provide the opportunity to craft thoughtful arguments on complex topics within the confines of a prescribed and often restrictive word count. As a student at a UK university, the biggest challenge you will find in essay writing is to make each one a little bit better than the last, especially if you are required to write them regularly. So how do you take your essays to the next level and go from great to brilliant? 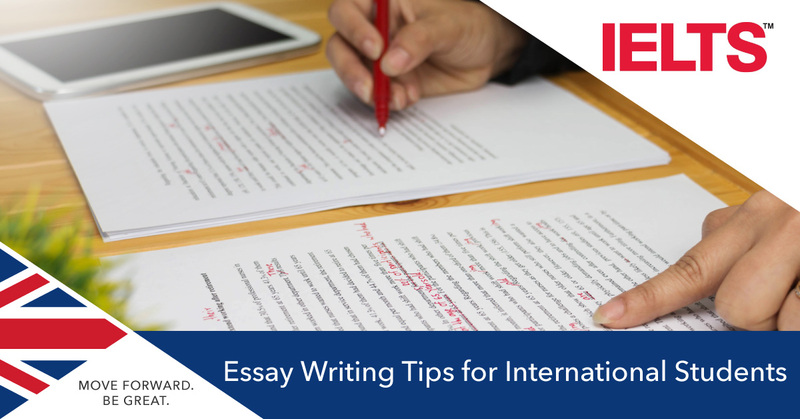 Learn more about six great essay tips and techniques that will improve your essay writing below and, if you're getting ready to apply to study in the UK, make sure to arrange a free consultation with SI-UK to learn more about the best universities, courses and how to make sure your IELTS score is high enough. Starting a study group is a great way to exchange essays which will help you develop your own essay-writing style. Read as many as you can from fellow students and academics on a variety of subjects and different disciplines and as you do so, be critical: what do you like and dislike about them? How persuasive are the arguments presented? Is the argument a balanced one, with points adequately supported with evidence? A good vocabulary will allow you to express exactly what you mean, as clearly and concisely as possible. Economy with words is a characteristic of all good essays, so try to be precise and clear with arguments and points. Read widely, fiction and nonfiction, and refer to a dictionary for words you don’t know; this way, you’ll learn about new words and know how to use them properly. Use a thesaurus – you will add variety to your language and avoid re-using the same words. Learn prefixes, suffixes and roots – many roots come from Latin and Greek words and it’s often possible to deduce the meaning of a new word if you know its root and read it in context. Start a vocabulary book by using a notepad and collecting new words and their meanings. The act of writing down the definition will help you remember it. Do not use big words just for the sake of it though. Your essay should not contain meaningless meanderings, so review each sentence and remove any words or paragraphs that don’t add anything to your argument. Similar to the above, avoid repeating yourself and focus on using language effectively to help build an argument and create a sense of structure. Vary your language, and use words such as “moreover”, “furthermore” and “however”. Make an essay plan before you begin and understand what your argument will be. Only then can you start writing the structure for an essay that builds up to your overall conclusion. To condense what you’re trying to say into a short, snappy summary, try making an ‘Elevator Pitch’ - a technique used by salespeople when condensing an argument - to surmise what you intend to write and why readers should be interested in it. When writing essays it is extremely important to cite other people’s opinions, and original sources, on what you’re writing about. Contrasting views should be sought; it’s unlikely that everyone agrees on the topic, so show you’ve looked at all the possible angles. It’s fine to disagree with a scholar you quote, provided you can give evidence and reasoning for doing so. This shows that you have thought about it and made your own mind up, this is a good way of demonstrates strong critical reasoning skills. A sophisticated sentence structures make the world of difference to your argument. Make your essay easy for readers to understand by using a variety of sentence structures, long and short, and be precise so that your sentences don’t become too long or difficult to read. Poor grammar makes an essay harder to read. If you need to improve your reading or writing before applying to study at a UK university, SI-UK London and Manchester provide IELTS preparation lessons and an IELTS Practice Test to learn your current ability. Enquire with our international education consultants and teachers to get started today.